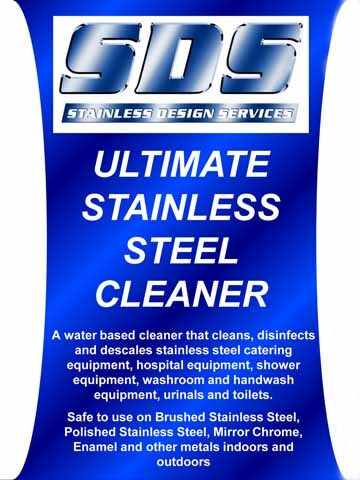 Designed for Professional and Industrial use only, SDS Ultimate Stainless Steel Cleaner is perfect for cleaning and removing limescale from our products, (particularly urinals) and is also suitable for use on many other items. It is safe to use on Brushed and Polished Stainless Steel, Mirror Chrome, Enamel and many other metals both indoors and outdoors. 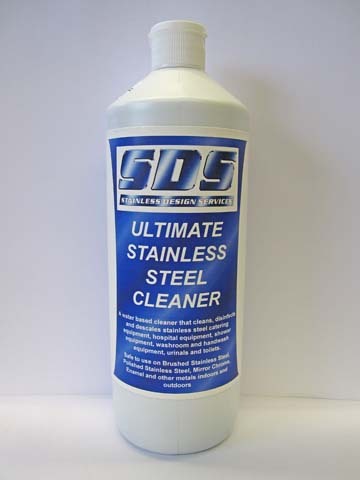 SDS Ultimate Stainless Steel Cleaner is packaged in multiples of 6 x 1 litre plastic bottles which have a directional nozzle for easy application. 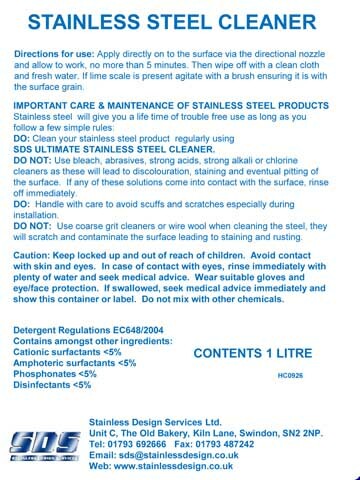 A Safety Data Sheet can be downloaded below.